There are times when we can take action, make a positive difference by standing up and speaking out and bring about a significant, effective change. But there are those times when all we can do is keep breathing, waiting for the storm to pass. Today has been both. 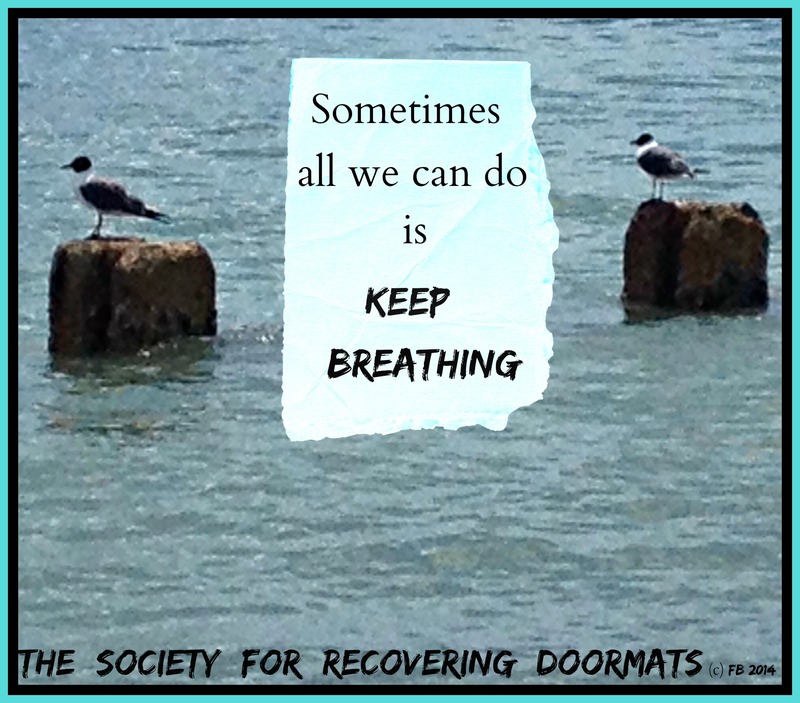 Sometimes organizations don’t want participating, thinking, outspoken members, what they want is doormats. Too bad. I took an action, spoke out, and then kept breathing. So sorry you experienced this with your organization. Don’t let it bother you. Sometimes the best thing to do is realize it is THEIR LOSS and keep breathing.